I was reading the Metro newspaper on the way to work this morning; I’m always interested in municipal affairs, so the articled headlined “More money for municipalities” caught my eye. More on that in a bit. 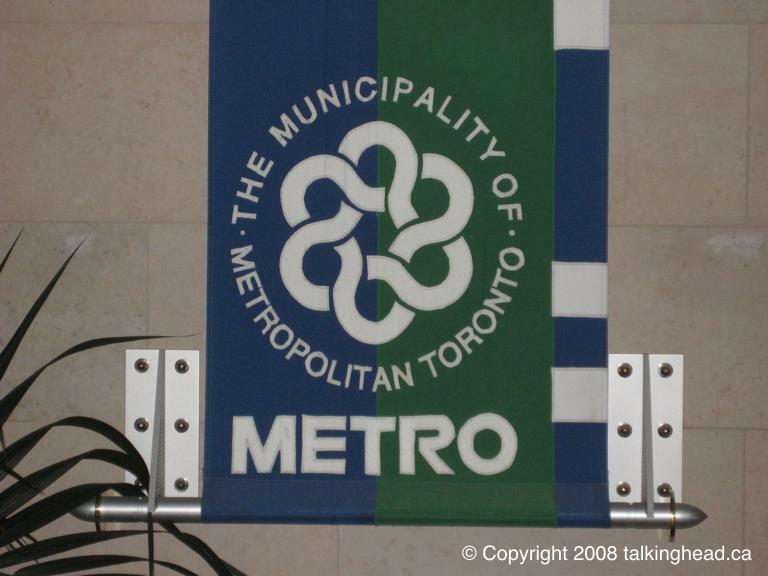 In 1998 the anti-Toronto conservative government of Mike Harris (who’s from the very small city of North Bay, ON) forcibly abolished the lower level municipalities, thus creating a merged megacity entity known as the City of Toronto. During this transition, Mike Harris also downloaded social services that had been paid for by the provincial Government of Ontario, onto the property tax base of cities and towns in Ontario. This arrangement has created an chronic shortage of funds at the municipal level, and has led to a material reduction in social services. Because Toronto is the the largest city in Canada, it faces unique problems not faced by smaller suburban municipalities. For instance, homeless people from all over Ontario and Canada come to Toronto. Another example is that many people who live in surrounding suburbs commute to work in Toronto, sometimes from as far away as Hamilton and Barrie! These commuters come to our city, use our services, and don’t pay for them. Incredibly, Harris actually did something right. Or at least, the idea was good relative to his warped conservative ideology: the suburbs of Toronto were required to pay to support a portion of Toronto’s services. Now, these support payments are going away. An expanded version of the Metro article published in The Toronto Star sheds an additional ray of light on the issue, but not much. It talks of how much money some of the suburbs stand to save, but there is no mention as to how Toronto will make up for this shortfall. Toronto already needs to beg for a bailout from Queen’s Park every year because it doesn’t have enough cash to balance its budget. How does this move benefit Toronto? Where are those millions of dollars going to come from? Is the province going to cough it up? It’s unlikely that the Feds will, under the conservative leadership of Stephen Harper. The article makes no attempt to answer these questions. C’mon, the Toronto Star and Metro Toronto papers should be representing the interests of readers in Toronto, no? At least try to put forward a balanced article, guys. This entry was posted on Monday, March 31st, 2008 at 19:10 -0500 and is filed under rants, Toronto. You can follow any responses to this entry through the RSS 2.0 feed. You can leave a response, or trackback from your own site.